The trail to Grays Peak and Torreys Peak runs through Stevens Gulch. 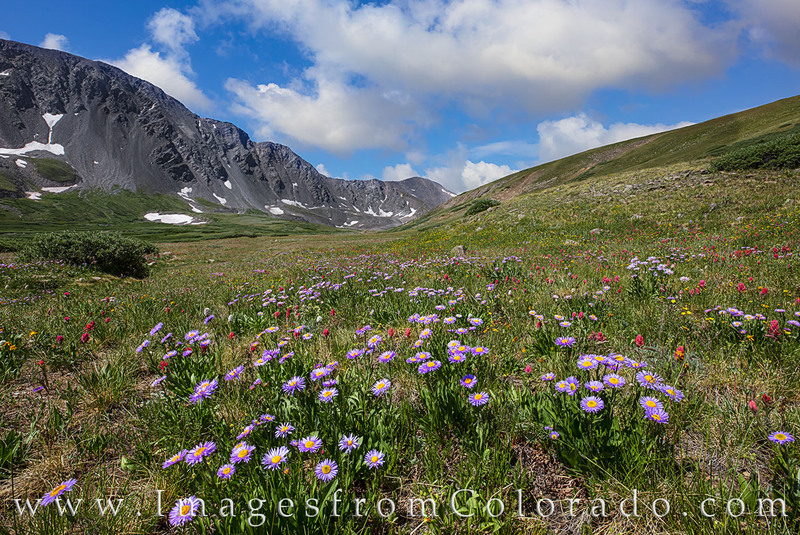 In summer, parts of the lower portion of the path can show off beautiful Colorado wildflowers. Purple daisies mixed with red paintbrush and several other varieties of flowers make this an enjoyable experience, even if you might be oxygen deprived! Photo © copyright by Rob Greebon.